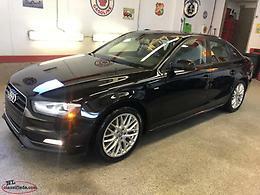 Lots of Q5’s out there but if you’re after an SQ5 there’s not many! 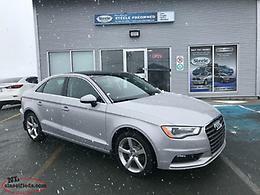 Fully loaded including navigation, back up camera, full panoramic roof, and roof rack with only 62k kms and Audi Certified extended full coverage warranty to Sept 2020 or 160k kms. New Uniroyal All Season tires in October and new Michelin x-Ice winter tires in December. Audi Quattro All Wheel Drive paired with a supercharged 3.0 litre V6 making 355hp and 346 lb ft of torque, 8 spd automatic transmission with paddle shifting option, sport mode and three driving modes for comfort, auto and dynamic (the growl when you accelerate in dynamic sport mode would make even the muscle car guys smile). 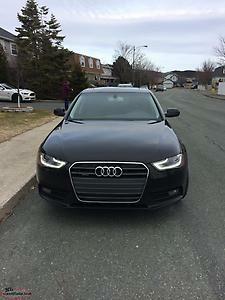 Hi, I'm interested in the '2015 Audi SQ5' posted on NL Classifieds! Please contact me if still available.